I post an updated list of media internships each Friday. I appreciate you passing the list along to along you know who is seeking an internship in the media industry. If you’re curious about why I post media jobs and internships, you can find more about that here. If hope you find this service useful. Good luck in your internship search! Arts Council Oklahoma City is seeking a Development Intern in Oklahoma City. Arts Council Oklahoma City is seeking an Event Planning Intern in Oklahoma City. Burness is seeking Creative Services Interns in Bethesda, Md. Dr Pepper Snapple Group is seeking a Marketing Intern in Plano, Texas. Harper’s Magazine is seeking an Editorial Intern in New York. Nov. 28 is the deadline. KFOX-TV is seeking a News Intern in El Paso, Texas. KMEG-TV is seeking a News Intern in Sioux City, Iowa. KMPH-TV is seeking a News Intern in Fresno, Calif.
KOCB-TV is seeking a Lifestyle Intern in Oklahoma City. KOMO-TV is seeking a Creative Services Intern in Seattle. KOMO-TV is seeking a Weather Intern in Seattle. KRNV-TV is seeking a News Intern in Reno. Lloyd Leitstein is seeking a Sports Marketing and PR Intern in Richmond, Va.
Mars Petcare is seeking a Marketing Intern in Nashville. New West Symphony is seeking a Marketing and Social Media Intern in Thousand Oaks, Calif.
Owens Corning is seeking a Strategic Marketing Intern in Toledo, Ohio. 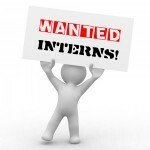 Sagac Public Affairs is seeking Paid PR Interns in Oklahoma City. The Advertising Research Foundation is seeking a Membership Services Intern in New York. The Deseret News is seeking News Interns in Salt Lake City. The Roanoke Times is seeking a Photo Intern in Roanoke, Va. Dec. 30 is the deadline. The Roanoke Times is seeking a Reporting Intern in Roanoke, Va. Dec. 30 is the deadline. WCHS-TV is seeking Creative Services Interns in Charleston, W. Va.
WGXA-TV is seeking a News Intern in Macon, Ga.
WICS-TV is seeking a News Intern in Springfield, Ill.
WJAR-TV is seeking a News Intern in Providence, R.I.
WJAR-TV is seeking a Sports Intern in Providence, R.I.
WKRC-TV is seeking a Digital Content/Social Media Intern in Cincinnati. WKRC-TV is seeking an Events and Marketing Intern in Cincinnati. WPEC-TV is seeking a News Intern in West Palm Beach, Fla.
WPGH-TV is seeking Promotion/Production Interns in Pittsburgh. WPMI-TV is seeking a News Intern in Mobile, Ala.
WSBT-TV is seeking a News Intern in South Bend, Ind. WSET-TV is seeking a News Intern in Lynchburg, Va.
WSTM-TV is seeking a News Intern in Syracuse. WSTM-TV is seeking a Sports Intern in Syracuse. Dec. 1 is the deadline. WSYX-TV is seeking a Digital News Intern in Columbus, Ohio. WXLV-TV is seeking a Research/Projects/Digital Intern in Winston-Salem, N.C.
WZTV-TV is seeking a News Intern in Nashville.